In recent years, many of the travel providers that were traditionally classified as “luxury” have shifted their focus to meet travelers' rapidly increasing demand for authentic experiences. Additionally, many luxury tour and cruise companies now offer multi-generational itineraries that help families travel the world together and make lasting memories. River cruises are an excellent choice for travelers who enjoy the benefits of being able to see multiple locations without having to pack and unpack but would like to see more interior destinations than possible on a large ocean cruise. The ships hold less than 200 passengers, nearly all of the cabins include a balcony, and most of the itineraries include amenities that make your vacation nearly all-inclusive. Europe is common among all of the better-known river cruise companies and several also offer journeys in Asia and Africa. Viking River Cruises is one of the best known of the river cruise operators and also one of the largest. They tend to be more adult-oriented (their cruises are for people 16+) and have a heavy focus on fine cuisine and local culture. In addition to Europe, Viking also sails in Asia and Egypt. Ama Waterways The Ama ships are smaller than those in the Viking fleet, and the company has invested a lot of resources in their specialty cruises, including over 50 different wine cruises. Although the typical Ama guest is over 55, children over 4 are welcome on the Ama ships (over 12 in Africa). In addition to European itineraries, Ama also sails in Asia and South Africa. Avalon Waterways Similar to Ama Waterways, Avalon focuses on specialty cruises. In addition to wine cruises, Avalon also offers beer, music, and art cruises. 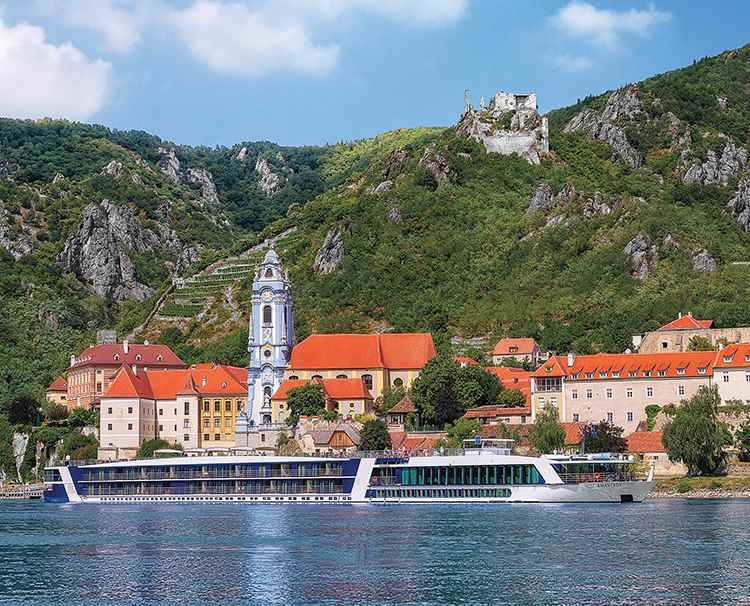 Avalon welcomes guests over 8 on their river cruises and sails in Europe and Asia. Uniworld In addition to the typical river cruise offering, Uniworld offers the Generations Collection in Europe. Although children over 4 are invited on any of their cruises, this collection focuses on the family and provides children's activities both onboard and on shore. They also offer U by Uniworld for guests ages 21-45. Sailings include destinations in Europe, Asia, Egypt, and India. River cruises are able to go inland, expedition cruises sail to remote locations and small ship cruises are able to reach areas that may be off-limits to larger ships. Holding less than 300 passengers, small ships provide a more intimate experience. Because so many options exist and the itineraries are so varied, I'm not going to describe the companies in detail; however, Crystal Cruises and Windstar are among the best of the best. While river and small ship cruises offer some wonderful benefits, a vacation on the water is not everyone's cup of tea. Most people picture tours as long bus rides being herded on and off like a group of cattle. Today, however, tour companies offer many independent, customized and interactive experiences in much smaller groups. Globus, and sister company Cosmos, offer itineraries all over the world. For travelers looking for a more independent experience, Monograms and Avanti Destinations provide multiple ways to customize your vacation. And, for those looking for a family experience that includes activities focused on children or multi-generational experiences, Tauck Bridges and Adventures by Disney offer some outstanding itineraries. One of my favorite quotes is “Travel in the younger sort is a part of education, in the elder, part of experience.” I believe, though, that travel plays an important role in both, no matter how old someone is. We're never too old to learn and never too young to experience. The opportunities to explore the world are endless, and the companies I mention in the article are just a few of the wonderful options available. This article is from Lauren Schultheiss a Forsyth County Georgia travel agent, luxury travel specialist and Certified Autism Travel Professional.